WRDP OFFERS FREE CHECK UPS & FREE DENTAL TREATMENT TO ALL OUR PATIENTS’ CHILDREN. Promoting oral health is one of our core values. We strongly recommend that you bring your children with you on your dental check up every 6 months. We will then have the opportunity to check their teeth, gums and jaws and advice you on their oral hygiene, diet and dental treatment requirements. 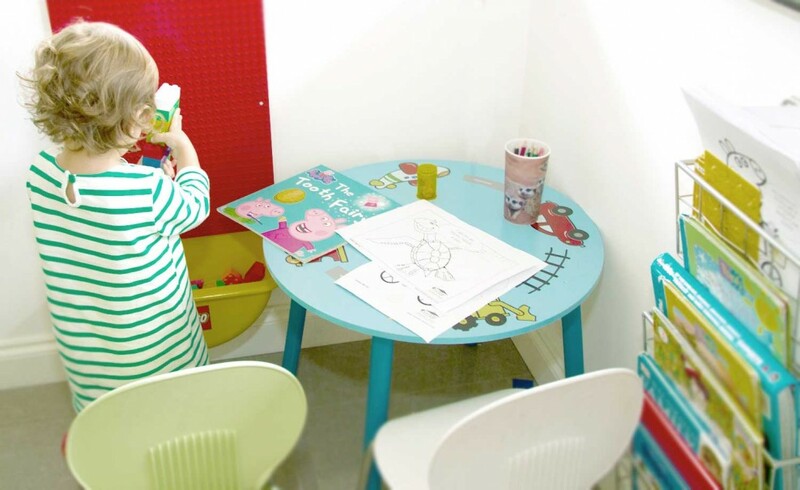 Our waiting room offers a children’s corner with LEGO, books and colouring pencils. We offer FREE car park, full access for pushchairs from street level and baby changing facilities. Parents must attend to their own check up within the same calendar year to benefit from FREE children treatment. Free treatment allowance of up to £150 per child per year. Children scheme will cover children from birth up to their 18th birthday. The £150 treatment allowance equals to 8 baby teeth fillings / 2 simple white permanent fillings every calendar year. Orthodontic extractions are free and do not affect the yearly allowance. When parents are not patients at WRDP or have not attended for their own check up on the same year, a £20 check up fee will be charged. See our Price Guide.